The NEO Coolcam Z-wave door window sensor is an intelligent security equipment that can transmit the Z-wave network with particular frequency. This sensor can't work alone, it must work with their Z-wave alarm host. 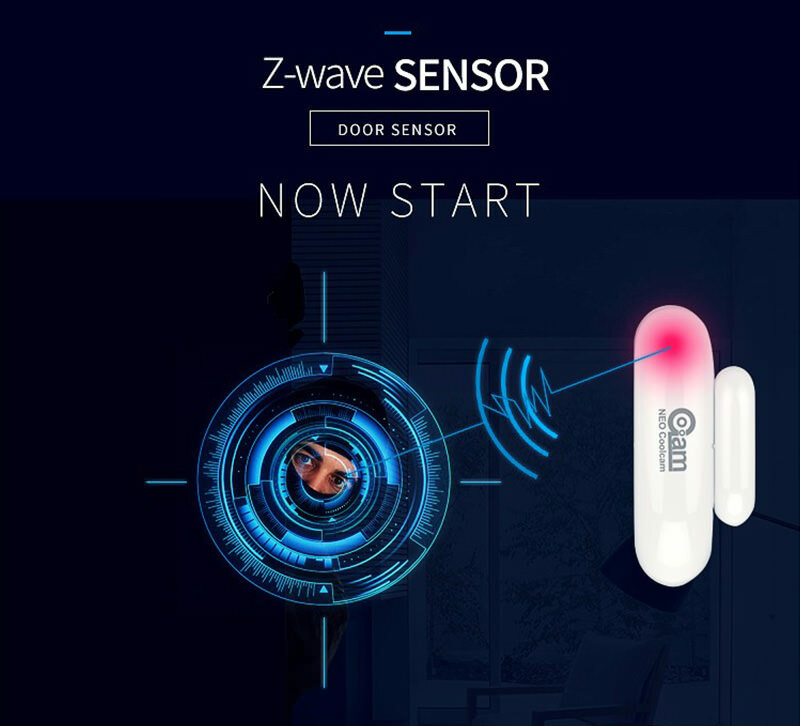 In the Z-wave network communications, the door sensor can send messages to the Z-wave main controller and realize association with other devices through the Z-wave main controller. The alarm is activated when the two pieces are separated, but stops when the two parts recombined. So it is an ideal intrusion warning for homes, apartments, mobile homes, dorms, offices, garages, and other needed places. ● Compatible system with Z-wave 300 series and 500 series, can't work alone, must work with their Z-wave alarm host. ● Easily installed on the window or door with screws and stickers. ● Simply attach one piece to door or window, and attach the other piece to the door or window frame. ● When the door or window is open, the sensor is triggered and linkage alarm realized. ● Low-consumption design, can work for a long time. ● Excellent design, tiny and fashion.